Fair Oaks Pedestrian Injury – A pedestrian injury occurred on September 21, 2018, in front of Bella Vista High School on Madison Avenue in Fair Oaks. No information has been released on the identity or condition of the student or whether the hit and run driver that caused the collision has been located. 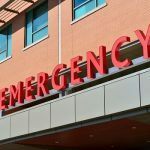 A report of the accident by the California Highway Patrol (CHP) said that the injured pedestrian was a student who was walking to school at the time and was struck by the vehicle shortly before 9:00 in the morning. It is unknown whether the student was treated at the scene and released or taken to a hospital for further treatment. School zones should be safe for children who are walking to and from school, getting off and on buses and whose parents are dropping them off or picking them up. Most schools have specially designated zones where drivers must reduce speed while going through the area. Many have school crossing guards to augment the safety of children while entering and leaving. However, school zones remain dangerous areas, and following an accident, a pedestrian injury that involves a fleeing driver compounds the pain and anguish. 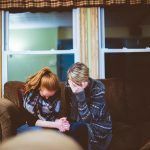 According to Safe Kids, the number of incidents involving the fatality of a child from ages 12 to 19 has increased by 13 percent since 2013. Statistics show that five teenage pedestrians are killed every week around the nation. 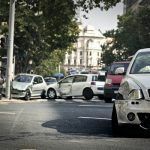 In Sacramento County in 2015, the latest year of compiled statistics by the California Office of Traffic Safety, there were 535 pedestrian accident injuries and fatalities. Of those, 71 pedestrians were 15 years old or younger. Some of those accidents involved a pedestrian injury in Fair Oaks. Be aware of school zones: School zones are marked by signs and blinking lights that warn a driver to monitor his or her speed. Paying attention when driving, particularly in the morning and late afternoon, helps assure that a driver will slow down. Look out for heavier traffic: Parents drop children off and pick them up in the early morning hours and in the afternoon, increasing traffic around a school. In addition, parents may be parked in the area waiting. It is essential to slow down in such areas to avoid a pedestrian injury. Be aware of increased crosswalks: Crosswalks are there for safety, and drivers need to be cognizant of them. Yield to pedestrians in crosswalks. Treat school buses with respect: Buses carry our children every weekday during the school year. Although they are concentrated in school zones, it is important to be on the lookout for them on the roads. If a bus has its stop sign deployed, it is required that drivers stop on both sides of the road unless there is a center divider. In addition, look out for children standing curbside waiting for a bus. Slow down in a school zone: The speed limit is drastically reduced in a school zone. Obey the speed limit or risk getting a hefty fine or harming a child. Watch YouTube Video: Driving Safely in School Zones. This educational video provides tips on how to drive safely through school zones. I’m Ed Smith, a Fair Oaks Pedestrian Accident Lawyer. 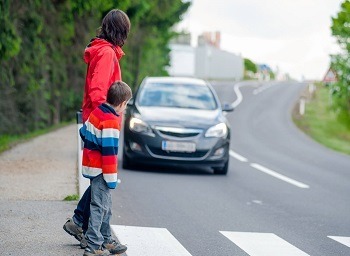 Driving safely in a school zone helps avoid a pedestrian injury. When an accident happens, it is important to have an experienced injury lawyer at your side. Reach out to me for free and friendly advice in Fair Oaks at (916) 921-6400, or you can use my toll-free line at (800) 404-5400. You can contact me online also. 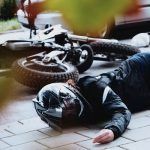 I have helped residents of Fair Oaks and the surrounding area to obtain the compensation they deserve for car accidents and bicycle and motorcycle crashes as well as traumatic brain injuries. I am a member of a nationwide group of trial lawyers called the Million Dollar Advocates. All members have won more than $1 million for a client. Photo Attribution: Depositphotos_21631991_l-2015 (1) / Fair Oaks Pedestrian Injury.